John and the 5S Pilot Team have not only done a great job with cleaning and organizing their workplace, but they have established the Standards needed to keep it that way. So why are we talking about the Sustain step if all of that is in place? Do you think that this team would fall into old habits and let their workplace slip back to the messy and disorganized condition it was in before? Have you ever cleaned your garage or desk so it looked like it was new only to find it in the same old condition a few weeks later? Most of us have and the same will happen in the workplace if habits don’t change. The Sustain step is the most difficult because it requires continued diligence. 1. Establish a schedule where the team audits itself on a weekly basis. Having teams audit other teams is a good idea as well. You will need to establish a schedule to audit your teams’ progress as well. You will need to establish a frequency that you can maintain so you can lead by example. The practical frequency will depend on how many teams you have. You should be able to do 2-3 audits a week but need to do at least one a week. The teams need to be audited by a leader at least once a month so tap into the resources at your plant to schedule accordingly. 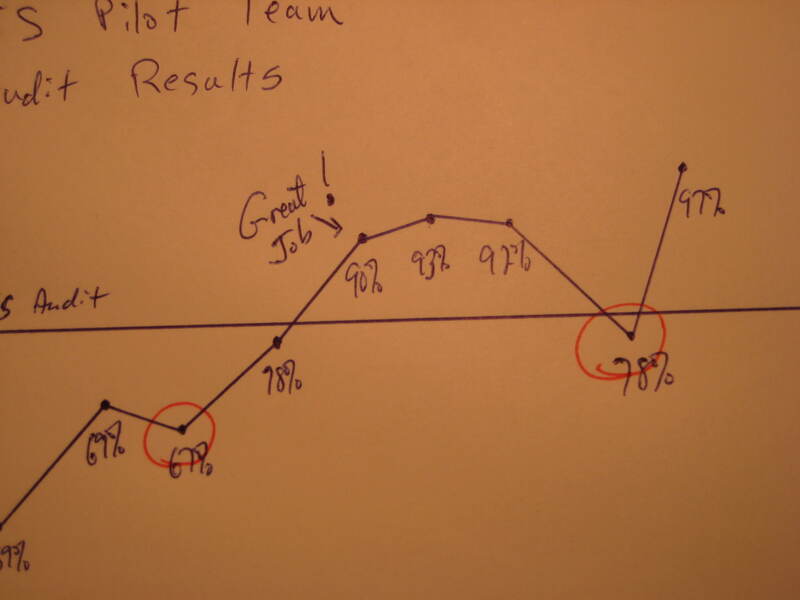 The teams will thrive on and be motivated by the feedback provided via the audits you perform. My personal experience is that teams who lost momentum and were back-sliding made huge strides after I personally audited their 5S. 2. 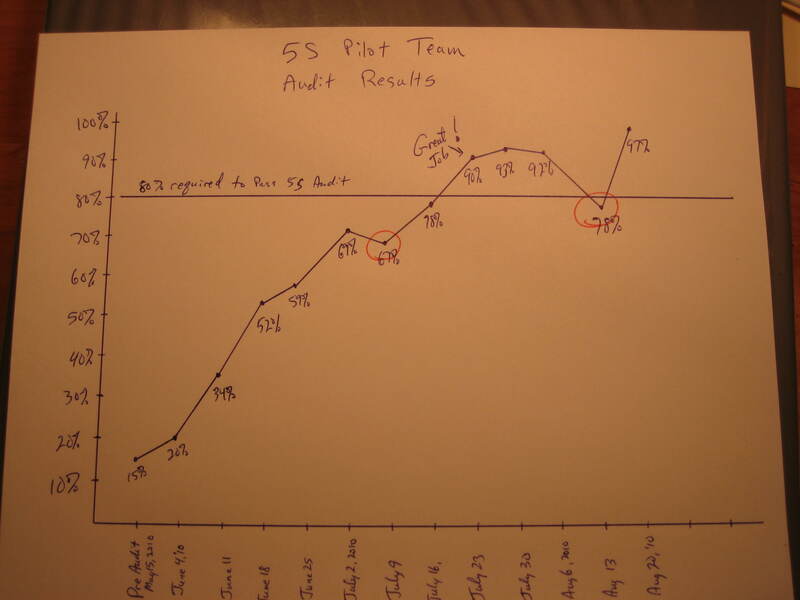 Graph the audit results. This is a great visual control. You can make a form available but have the team update the chart by hand. 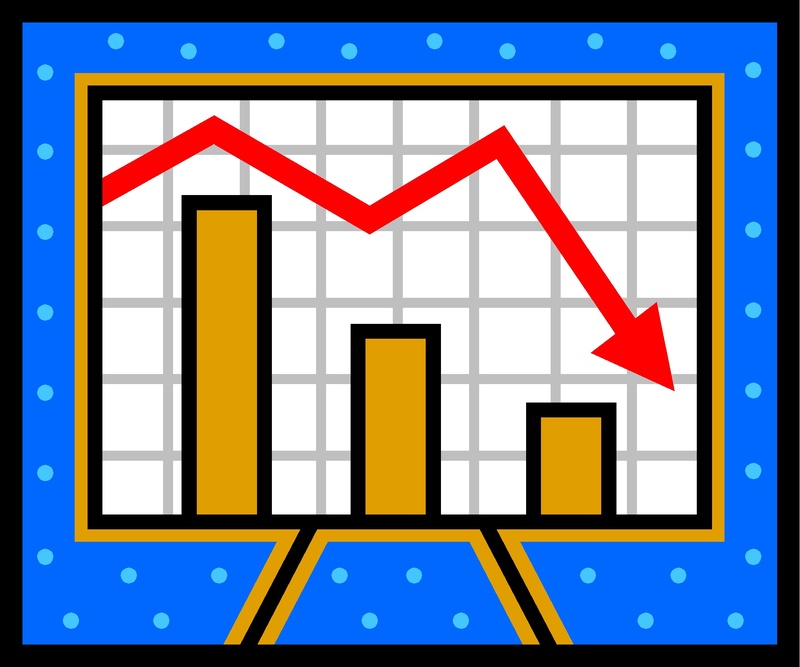 Don’t make the team find a computer to make the graph and don’t update the graphs for them. It’s not as effective and it’s a waste of time. The score should be visible right away. Visual controls you and the team know if they are slipping. 3. 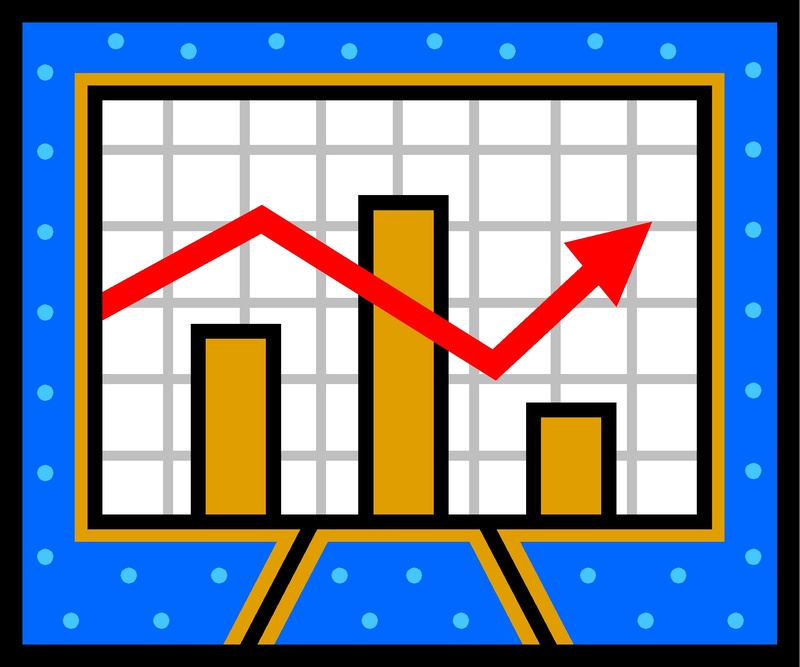 Post the audit findings on a board as close to the teams 5S zone as practical. This is just the list of the discrepancies noted during the audit. You can use this to make assignments and due dates as well. I’d suggest making that part of the Team Leader responsibility. Again, real-time feedback is key. Maintaining a solid audit schedule will be key to your continued success. You should think of creative ways to promote 5S on a regular basis. You don’t want to let the team think that this is the flavor of the month. 5S expectations should become part of the training for new hires and new team members. Reward programs can also be very effective if managed properly. The team can and will be successful in Sustaining 5S with the proper support systems. John’s team is ready for and committed to Sustaining the Gain. Are you?